We are pleased to announce the launch of Amsterdam, ONAP’s first united platform. We are incredibly proud of the community for all of the hard work that has gone into this release, which launched just eight months ago. A Herculean effort from a diverse and growing community, Amsterdam not only merges two separate, existing projects (OpenECOMP and Open-O), but re-architects and optimizes the code base into a single, flexible and modular platform. Amsterdam delivers a unified architecture for end-to-end, closed-loop network automation — which is becoming a mandatory requirement before 5G and IOT deployments — and by doing so, celebrates a new milestone for open source networking. 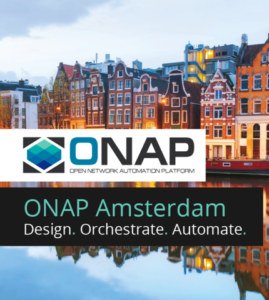 With Amsterdam, ONAP is already delivering on its promise to accelerate the development of a vibrant ecosystem around a globally shared architecture and implementation for network automation. 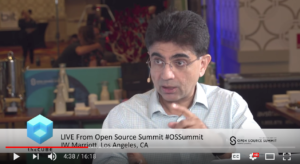 Additionally, ONAP is the first open source project to unite the majority of operators (end users) with the majority of vendors (integrators) in building a real service automation and orchestration platform. So let’s get to the heart of the release–the key features. At a high level, Amsterdam is the first vendor-agnostic, policy driven network orchestration and automation platform with closed loop automation. For ONAP’s first platform release, it was crucial to lay out a framework that would benefit not only the technology but also the ecosystem. 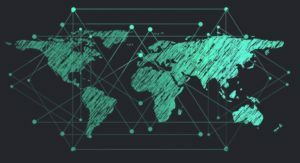 As a result, the Technical Steering Committee (TSC) developed a high-level framework of initial requirements for the release, which have come to fruition with Amsterdam. The requirements include things like modularity; enhancement of model-driven design; the addition of new features/functionalities; open code; upstream collaboration; harmonization with standards bodies; and CI/CD, to name a few. Another key capability of Amsterdam is VNF automation. In current deployments, every VNF works in a different way and can start/stop at various points. Configuring a variety of VNFs is therefore a very time-consuming, manual process. Amsterdam has standardized VNF automation by creating a streamlined deployment process that happens through the abstraction layer (through the virtual controller) and has a SDK plug-in. More details on automation and CLAMP can be found on the ONAP Developer Wiki, here. Additionally, ONAP’s focus on automation helps move the industry forward in accelerating the development and deployment of next-gen use cases. Automation is mandatory for 5G deployments due to the scale, access, bandwidth, and latency it demands. Amsterdam provides the platform to deploy new services to enable 5G in an automated manner. Interested in learning more about ONAP or getting involved with the community? Join us for the ONAP Developer Design Forum, Dec. 11-13 in Santa Clara, California! More details on the event -including how to register – are available here. Please join me in congratulating the ONAP community on its first release!